Rose-gold tone stainless steel case. Smooth, black leather strap with adjustable buckle closure. Round face, 48mm. 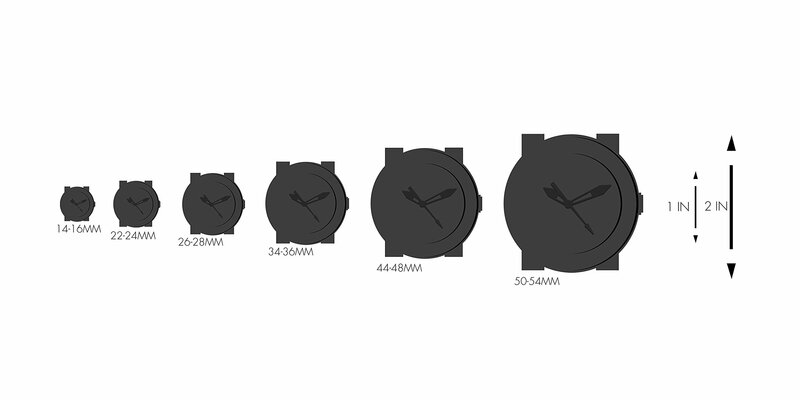 Three-hand analog display with quartz movement. 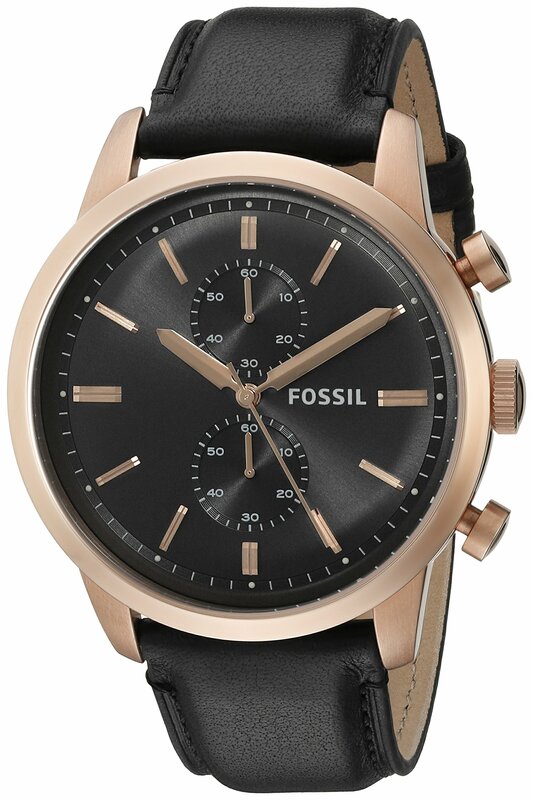 Black dial features rose gold-tone hands and hour-markers, two subdials, minute track, and Fossil detailing. Water resistant 5ATM/50m.